Thomas Harris modeled his fictional character Hannibal Lecter after the real-life serial killer Ted Bundy, and Harris’ novel The Silence of the Lambs would later aid officials in the incarceration of the Green River Killer. Michael Herr was a war correspondent in the Vietnam War before becoming a contributing writer for Apocalypse Now, a film that parallels Joseph Conrad’s novella Heart of Darkness. 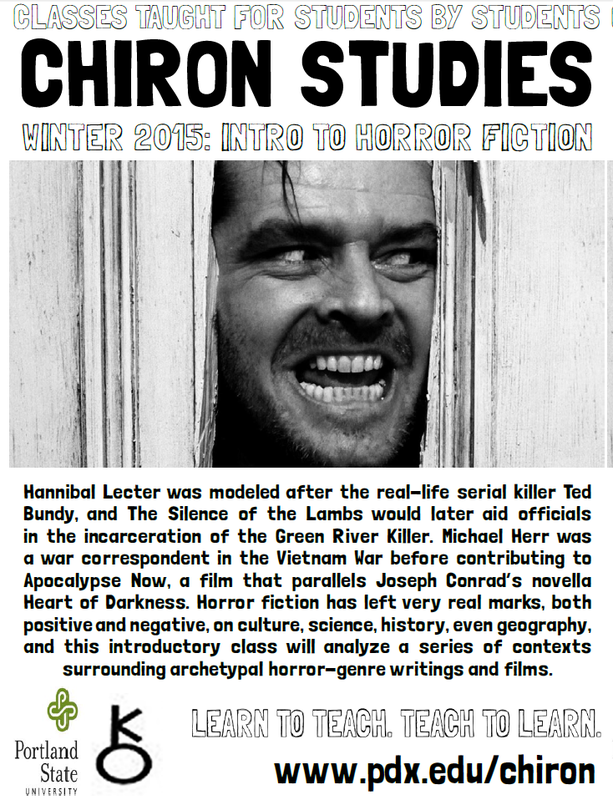 Horror fiction has left very real marks, both positive and negative, on culture, science, history, even geography, and this introductory class will analyze a series of contexts surrounding archetypal horror-genre writings and films. To find horror fiction readings online, please click here.